Straighten teeth invisibly, without metal braces! Looking for an alternative to metal braces? ClearCorrect is the clear and simple choice. Everyone will appreciate the clear, convenient comfort giving you every reason to smile! ClearCorrect is a series of custom-made aligners that are worn to correct your teeth, fix bite problems, and improve your overall smile. ClearCorrect can treat a wide variety of teeth issues that may keep you from the smile you have always wanted. Straighter teeth don’t just look better, they work better too. Poorly-aligned teeth can interfere with bite function, wear out quicker, and are more prone to cavities. They are Invisible – You’re never too hold to improve your smile! The aligners are practically invisible allowing you to carry on with your usual routine with little visual impact. The are Removable – Unlike metal braces, you can remove your trays whenever you need to. If you have a special occasion, no problem. As long as you continue to wear your aligners for at least 22 hours a day, you are taking the right steps to perfecting your teeth! Customizable – Each tray is customized to you, there is no one-size-fits-all! Your treatment will begin with a series of X-rays, pictures, evaluations, and impressions to create a 3D model of your mouth. 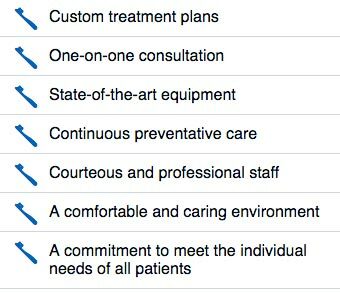 We prepare a personalized plan to fit your particular needs and desired outcomes. You will receive a series of aligner trays that are created to perfectly fit your teeth. Since the aligners are designed with an ideal fit, you will experience much less discomfort compared to traditional metal braces. They are Affordable – At AA South Florida Dentistry, we will work with you help you find the right financing or payment plan. This small investment offers an incredible return. Your ClearCorrect trays are built to last. They resist stains and cracks while transforming the alignment of your teeth. In particular, if you have crowded or widely-spaced teeth, crooked or rotated teeth, or an under or over bite, you can begin to see permanent results in as little as 4 to 6 weeks. Dr. Faine has more than 40 years of experience and is certified in clear braces.